From the elegant outfits of the 1930s to the Hollywood-inspired evening gowns of the 1950s, from the psychedelic patterns and micro-minis of the 1960s to the bold and bohemian styles of the 1970s, this book charts the evolution of Australian fashion through the pages of Australian icon The Australian Women’s Weekly. 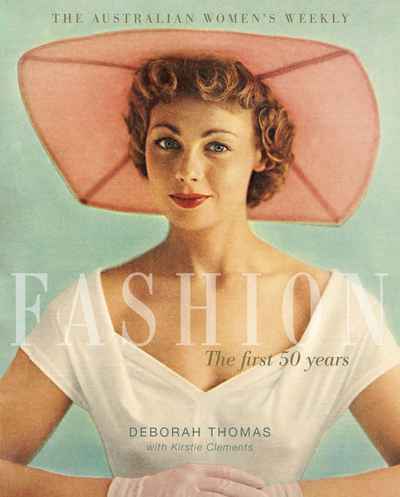 This trip through The Weekly’s first 50 years reveals how the evolution of fashion in Australia was also a reflection of changing times. Featuring beautiful illustrations from the magazine on every page, this book is for anyone who loves fashion. Listen to Deborah Thomas interviewed on Radio National life matters here.